Fees associated with Romanian PCT national phase entry as well as other patent fees are available in the fee calculator. The time limit for national phase entry of a PCT application in Romania is 30 months from the priority date. This term may be restored within two months since the cause which hindered the opening of the national phase ended; however not more than one year since the term lapsed. - data on the applicant. The official language of the Romanian patent application is Romanian. If the international application is filed in any other foreign language the translation into Romanian should be provided within two months from entering the PCT national stage. The official legalisation of a Power of Attorney is not required. It should be provided to the Romanian Patent Office simultaneously with filing or within two months from entering the Romanian national phase of a PCT application. If the applicant of the Romanian patent application is not the inventor it is necessary to provide the assignment deed. Legalization or notarization is not required. It may be submitted within 3 months from filing. The substantive examination may be requested for within 30 months from the date of PCT national phase entry in Romania. There is also the possibility to request expedited examination, within 18 months from the Romanian PCT national phase entry. The grant fee should be paid within four months from issuance of the decision to grant a patent in Romania. The first annuities should be paid within one year as of the date of publication of the mention to grant a patent. For foreign patent applicants, it is necessary to perform PCT national phase entry in Romania through an agent, a registered Romanian patent attorney. 2. 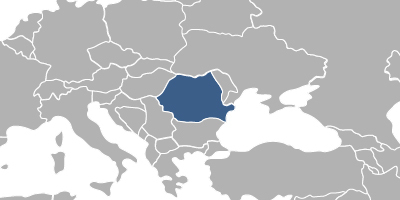 The PCT application in Romania may also be nationalised via European route and its further validation in Romania.